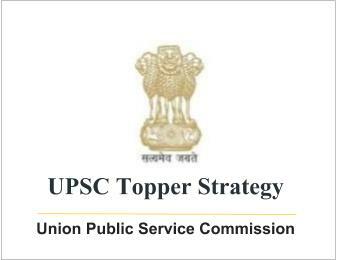 UPSC Topper Strategy for Public administration Optional by Ranjan Singh ji (Rank-62) | IAS EXAM PORTAL - India's Largest Community for UPSC Exam Aspirants. Paper – I and Indian Administration. I will give you chapter –wise detail of study material which “I followed”. U need not follow this. Just follow your own study material but pls follow the basic instructions mentioned above. 2. Administrative Thought :- Prasad & Prasad, New Horizons of Public Administration by Mohit Bhattacharya . 3. Administrative Behaviour :- Prasad & Prasad, New Horizons of Public Administration by Mohit Bhattacharya . Organization Behaviour by Stephen robbins. For this paper 2nd ARC is the most important study source. Aaprt from that Economic survey is also very good for collection of datas. And news related to administrative problems and reforms are also very very useful. 1. Evolution of Indian Administration- Indian Administration by Rajni Goyal and Ramesh K Arora. 2. Philosophical and Constitutional framework of government- Indian Administration by Rajni Goyal and Ramesh K Arora. 3. Public Sector Undertakings- Vajiram class notes. 4. Union Government and Administration- Indian Administration by Rajni Goyal and Ramesh K Arora. 2nd ARC. 5. Plans and Priorities– Indian Administration by Rajni Goyal and Ramesh K Arora. 12th plan approach paper of Planning Commission . 6. State Government and Administration- Indian Administration by Rajni Goyal and Ramesh K Arora. Punchi commission report, 2nd ARC Report. 7. District Administration since Independence- Indian Administration by Rajni Goyal and Ramesh K Arora , Punchi commission report, 2nd ARC Report. 8. Civil Services- Indian Administration by Rajni Goyal and Ramesh K Arora, 2nd ARC Report. 9. Financial Management- Indian Administration by Rajni Goyal and Ramesh K Arora, 2nd ARC Report. 10. Administrative Reforms since Independence- Indian Administration by Rajni Goyal and Ramesh K Arora. Punchi commission report, 2nd ARC Report. 11. Rural Development- Indian Administration by Rajni Goyal and Ramesh K Arora, 2nd ARC Report. 12. Urban Local Government- Indian Administration by Rajni Goyal and Ramesh K Arora. 2nd ARC Report. 13. Law and Order Administration :- 2nd ARC and Punchi Commission report. 14. Significant issues in Indian Administration- 2nd ARC , Internet , Current affairs. These are the things which I followed , u can follow your own study material. As far as coachings are concerned, I have observed that Vajiram, synergy and Pawan kumar are relevant to some extent for this optional. Others are just making money.